20' 2" x 8' 2"
Some might say that this tiny house looks like a sophisticated, almost luxurious tent-trailer, which wouldn’t be completely false. Although this tiny house isn’t as mobile as tent-trailer, it is possible to bring it anywhere the road will lead you. 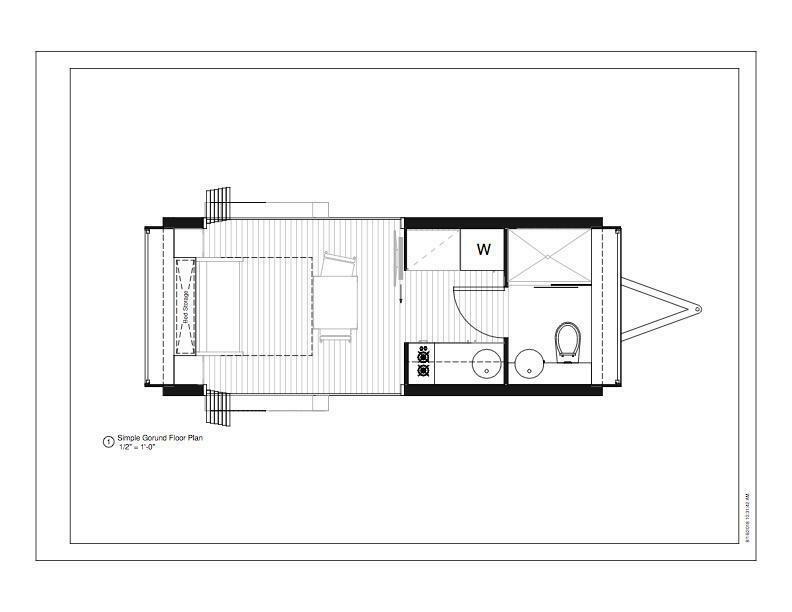 Comfy, utilitarian, amazing looking, this mobile tiny house has it all for anyone who wants to dip in the self-sufficient world of tiny houses. Height: 9' 3 5/16" Width: 20' 2"